Hei, jep joulut on juhlittu, kohta on joku syönyt kinkun, minä olen keskittynyt noihin suklaisiin. Joulukortteja saatte nähdä vielä pitkään, vaikka jo eilen vähän aloittelin uusien korttientekoa. Hi, hope you had joyful Christmas time. I have still some chocolate left, so no problem! Not yet snow here, but our lake got frozen yesterday. 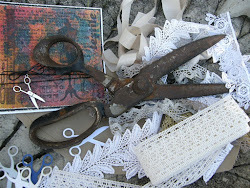 I have plenty of Christmas cards to show you, but yesterday I started to make some new too! 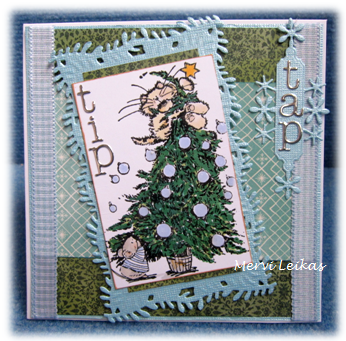 Stamp: Penny Black, coloured with ProMarkers; diecuts: SP, MB, IO, papers Basic Grey. Super card and design Mervi. Thank you for playing along at SUYP Cats Challenges and I wish you health and happiness for 2016. Thank you for joining us at Nordsalten Hobbyklubb at our challenge everything goes. Lovely card with a very cute image. Thank you for joining us at the Animal Friends and a hope to see you again.